What Could be Apple’s Next Smash Hit? “You can take your phone and you could point its camera at something in the world,” said Kocienda. 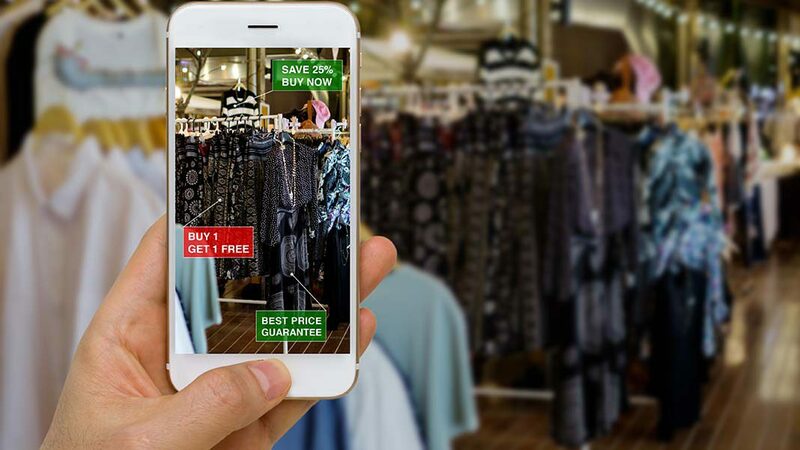 According to Bank of America Merrill Lynch, Apple‘s move into augmented reality could boost iPhone and App Store sales. 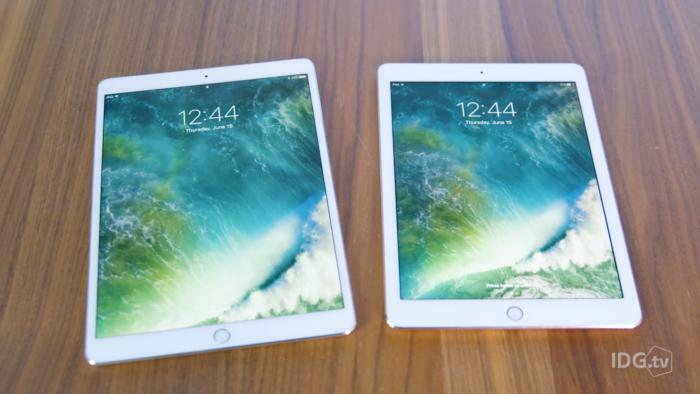 This could result in as much as $8 billion in revenue for Apple. Last quarter, Apple reported $3.74 billion in revenue from its “other products” division, which includes sales of Apple Watches, iPods and home products. Looking For Some Games to Play? The iPhone is chalk full of games to play. Pass time while entertaining yourself with Apps provided by iPhone. However, there are so many to choose from and not all of them come free. So how do you choose? Well, provided are some interesting apps to download. Some are free and some are not, but you can make the decision to buy based on these descriptions, prices, or just the names. Jump into Hearthstone (free) for some fun and challenging card game tactics. Discover new combinations and strategies, and play either on your iPhone or iPad simply by logging in. Try Super Mario Run for free or invest $10 to the real flying game. Evoland ($5) unlock new technologies and game play systems as you advance throughout this game! It’s 3D so you can “live” it. Fire Emblem Heroes is a Nintendo game that made its way to Apple. It’s almost exactly like the original game, with a few annoying features removed for your pleasure! Get to saving the Kingdom of Askr. Love You To Bits ($4) help this human save and rebuild his robot girlfriend! You read that correctly. Oxenfree ($5) Stranger Thing and Scoobey Doo fans will love this one. Help these teens find out the truth behind the island they’re on, and escape! The Silent Age (free) Help Joe Average save mankind! Listed are some enjoyable apps, some free and some not, that can help you pass time during your morning commute or while you’re waiting at the doctors. Whatever the reason is, and whatever game your interested in, there’s something right for you. Hopefully this helped you find something enjoyable to play. 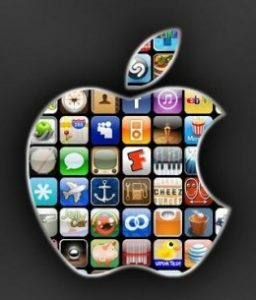 For questions on selling your iPhone, Mac or other Apple product, let SellMyMac buy your old or unused Apple product so you can save up for a new one, or perhaps buy some apps! Apps rise and fall on the app store every day, few even struggling to make the top 100. Sure there are the mainstream apps such as Youtube, Facebook and Snapchat that are always on the chart but there are newbies that are sure to keep you entertained for a few hours. Most of them start off as free trials that can be upgraded with either a monthly subscription or one-time unlock code. The best part of them being free is that you can try them out before shelling out an iTunes gift card. Lake: Lake is a freemium coloring book app that’s great for relaxing and winding down after a stressful day, and is great with kids and adults alike. The app comes with a selection of free illustrations, and each day, users can unlock and color a single new illustration, using coloring tools such as an acrylic or watercolor brush, spray paint, or a fill tool, with a gradient color wheel and custom palettes. In-app purchases can unlock new coloring books, and a subscription unlocks all content. Marvel: Color Your Own: Experience the Marvel Universe like never before. Full of action-packed designs and exclusive coloring tools, you can become a part of the creative process and bring your own artistic choices to the Marvel Universe. An unlimited access subscription unlocks new pages every week, premium brushes and allows you to save your masterpiece in high resolution without a watermark. Pigment: Pigment is the ultimate stress reliever on the go! Take a break and relax with this unique coloring book app that lets you color like you would on paper, unlike other “tap-to-fill” coloring apps. Choose from the largest collection of hand-curated, professionally drawn illustrations, 21 different kinds of pencils, markers and brushes, and an unlimited number of colors to choose from. Once you’re done, easily share them with your friends and family, and even print them out using AirPrint. Subscribe to Premium Access for unlimited access to the entire library, premium brushes, and exclusive color palettes. SeetGeek: SeetGeek is the easiest way to find great deals on tickets to thousands of sporting event, concerts, and Broadway shows. Every deal is color coded from best to worst and mapped on an interactive seating chart with real photographs from every section. Also, allows you to send tickets to friends, and discover new events tailored to you. 8fit: Your roadmap to a healthier, leaner, fitter you. 8fit is your personal fitness trainer. Get customized workout & meal plans to get fit & healthy. Skip the gym and realize your potential. 8fit’s plans take 15-20 minutes and can all be done at home. 8fit provides customized and highly efficient exercise and nutrition plans to make getting fit simple. Download 8fit and try the free workouts. The Pro edition includes customized meal plans and complete workout programs, targeted to your fitness level. Calm: Calm is the #1 app for mindfulness and meditation to bring more clarity, joy, and peace to your daily life. Join the millions experiencing less anxiety and better sleep with our guided meditations, breathing programs and Sleep Stories. Recommended by top psychologists and mental health experts to help you de-stress. Calm is the perfect meditation app for beginners, but also includes hundreds of programs for intermediate and advanced users. Guided meditation sessions are available in lengths of 3, 5, 10, 15, 20 or 25 minutes so you can choose the perfect length to fit with your schedule. Map My Run: Track and map every run with MapMyRun. For every mile you go, you’ll get feedback and stats to help you improve your performance. Discover new work out routes and save or share your favorites, and get inspired to reach new running goals with a 40 million member strong community of runners. Whether you’re a beginner looking to log your first mile or a seasoned runner, you’ll find the features and tools you need to stay on track and motivated along the way. Myfitnesspal: Lose weight with MyFitnessPal, the fastest and easiest-to-use calorie counter for iOS. With the largest food database by far (over 5,000,000 foods) and amazingly fast and easy food and exercise entry, we’ll help you take those extra pounds off! And it’s FREE! There is no better diet app – period. Easily connects and seamlessly integrates with over 50 apps and devices including Apple Health, Fitbit, Jawbone UP, Garmin, MapMyFitness, Runkeeper, Strava, Runtastic, Misfit, Withings, and more! Works with virtually every fitness app and device. Giphy: The world’s largest library of animated GIFs, now on your mobile phone! GIPHY for iOS is the fastest, simplest way to search and share GIFs across all of your favorite social channels. Faster than ever, but still wicked easy. Now with an Auto-Play on/off switch for those annoying moments spent on a poor connection to the inter webs, and 3D touch for quick access. Don’t forget to switch on the iMessage extension in iOS 10 for even quicker access to all of the GIFs, right from your keyboard. Send GIFs and add stickers without leaving your conversation! Filmmaker Pro: Create and manage unlimited projects. Manage, share/export projects’ underlying assets through the unique File Manager view. 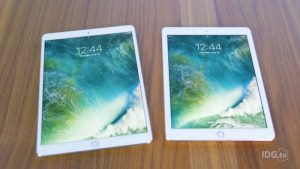 4K video support on iPhone SE, iPhone 6s/Plus, iPhone 7/Plus, and iPad Pro. Support for unlimited video clips, audio tracks, voiceovers, and text overlays. Auto save ensures that edits are never lost. PicsArt Photo Studio: With 1000s of amazing features, PicsArt’s photo editor has everything you need to make every picture awesome. It includes tools to create cutouts, crop, stretch, clone, add text and adjust curves. It also has a full library of artistic photo filters (including HDR), frames, backgrounds, borders, callouts and more. All tools have a brush mode for fine-tuning and applying selectively on a part of your photo. PicsArt provides 100s of fonts for adding text to your pictures and making killer text overlays. PicsArt also provides a rapidly evolving set of AI-powered, Prisma-style effects. With the collage maker, drawing tools, photo editor, camera and more, PicsArt’s your all-in-one creative suite. And it’s FREE. VSCO: VSCO (formerly VSCO Cam) is the best mobile app to edit, share and discover your photos. Best of all, this powerful photo editor is free to download. Capture an image, then enhance it with your favorite filter to get the look you want. Choose from a host of free editing tools like fade, clarity, skin tone, tint, sharpen, saturation, temperature and more, each with manual adjustments. Transform your photos into something beautiful and express yourself creatively. Unlock more with a yearly subscription! 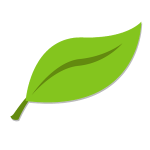 Bear: Bear is a flexible writing and note-taking app that works great for jotting down quick notes, doodling, writing poetry or prose, or even collecting snippets of code. Focus mode lets you get right down to business, and a markup editor supports 20 different programming languages. Inline image and photo support combined with Apple Pencil and hand sketching makes adding scribbles, doodles, and illustrations a simple task. Bear also includes cross-note links and tag support for easy searching. A pro subscription includes note syncing, export options for multiple file types and extra editing tools. Hotspot Shield: Free trial for 7 days. Hotspot Shield VPN is the most trusted security, privacy and access platform with top performance on speed, stability, and security. Hotspot Shield enables users’ online activities, sites visited, searches and personally identifiable information to always stay private and secured. 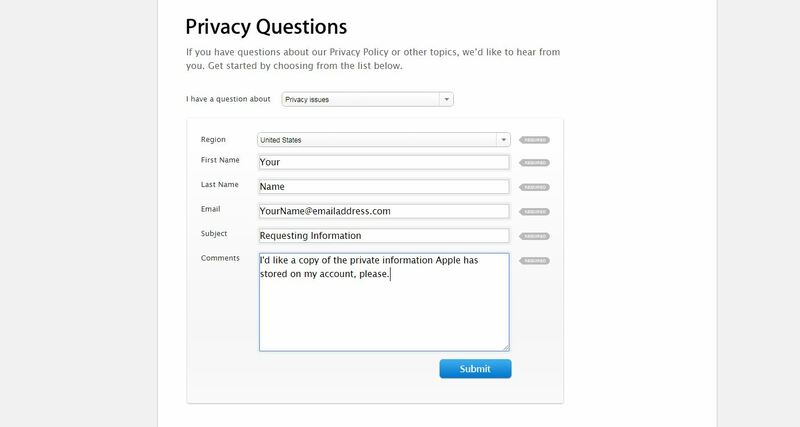 Get complete protection from cyber criminals – Hotspot Shield’s banking-level encryption hides your IP address from snoopers. Nebo: MyScript’s Nebo is a feature-rich note-taking app built with the iPad and the Apple Pencil in mind. Featuring MyScript’s Interactive Ink technology, Nebo automatically parses your handwritten notes into text, while allowing you to easily format your text, add extras like emphasis, underlining, bullet points, diagrams, mathematical notations, and picture annotation. Users can write equations and calculate or export to LaTeX, export text into Microsoft Office documents or text files, and search through your notes to quickly find something you’ve scribbled down. If you’re more about jotting down notes as opposed to typing them down, MyScript Nebo is an incredibly versatile note-taking tool. Word Flow: The Microsoft Garage continues churning out interesting app projects for mobile devices, among them, Word Flow, an iOS keyboard alternative designed to work with one-handed, thumb-swiping typing while on the go. Word Flow displays the keyboard in a radial arc, allowing you to more easily swipe with your thumb to the right keys without having to go through painful contortions. In addition, the app comes with the usual features of a good mobile keyboard such as a recommendation and autocorrect engine and neat extras like customizable backgrounds. 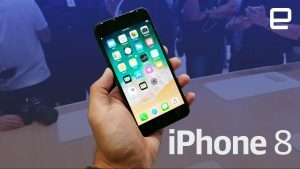 Thinking of trading your phone into the Apple store? Avoid the long lines and sell your device to us instead! We buy devices from all major carriers including but not limited to AT&T, Sprint, T-Mobile, Verizon as well as unlocked phones. If you have the original box and charger we will pay you more for your device! We make the process easy and convenient with our calculator program that gives you an accurate price and takes care of the shipping label as well. Sell My Mac offers top dollar for used or broken electronic equipment with a quick and simple transaction. Turn your old apparatus into cash towards your upgrade. It doesn’t get any simpler than this! Interested? Simply visit our website, answer a few questions about your device and we will send you a free kit to ship us your product. You will also receive a quote from our site notifying you of your device’s value. Once we receive your item, we will be in contact to verify some details about your device and process your payment. It’s that easy! Remember the quote is good for 10 days after the shipping label is printed out, so time is of the essence when selling your products to us in shipping them to our location as soon as possible. Questions? Send us an email and we will be in contact soon. When it comes to using a smartphone in a work environment, most people prefer using an iPhone. While there are definitely some well made arguments on both sides from Android users and IOS users, it is still not a bad idea to have options out there. For those using an iPhone there are a lot of business/productivity apps for every preference. Many of these apps also work on Android and all of them are FREE! There are a variety of Microsoft Office apps in the iTunes store. They come separately as Word, PowerPoint, Excel, Note, etc. There’s also an all-in-one version that is old. Do not download that one since it is very limited and has been abandoned by Microsoft. The new and improved apps will allow you to edit your files on the go and keep them synchronized across all your devices. You can also edit your files offline, making it easy to be productive even when you do not have a wireless connection. As an accounting app, Freshbooks stands as one of the best in the iTunes store. Its easy to use interface allows you to record and track your expenses and even help you file your taxes! It also works great for businesses, especially when working on projects that are on a budget, so each expense is carefully recorded and tracked so that you know where each cent goes! Working in the cloud has never been more convenient. 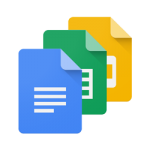 Using Google’s apps for editing files, in their Docs, Sheets, and Slides apps are helpful when creating a presentation, report, or anything else. This is even more useful when working in teams/groups. Everything is edited in real-time, but if for any reason you are offline, you can still edit the files and then it updates to the cloud when a wireless signal connects to your device. 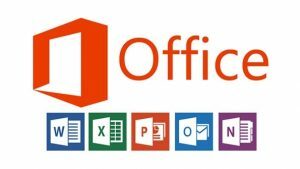 While this may not be for everyone and not as professional looking as Microsoft Office’s apps, it still provides a free and easy to use interface that the Office apps do not have at the moment. 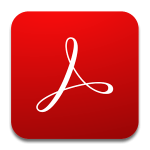 Having a PDF reader app is essential when working in a business. Many companies are starting to convert their files to PDF format since it preserves the formatting of the file. This is also a great work-around for when there are people using different operating systems. It is especially helpful when there are forms to be filled out and digital signatures are needed. 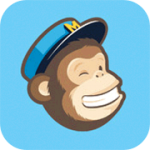 If you are looking to distribute emails, then Mail Chimp is for you. It allows users to manage their lists, edit and even create new ones on their phone without needing a desktop! So the next time you want to send an email blast, consider using Mail Chimp to help you with that!